When you have a dog that has a double coat there’s a lot of work that goes into maintaining that coat. Not only do you have to keep the guard hairs (top coat) looking nice and shiny but you also have to keep the thick hair underneath healthy. 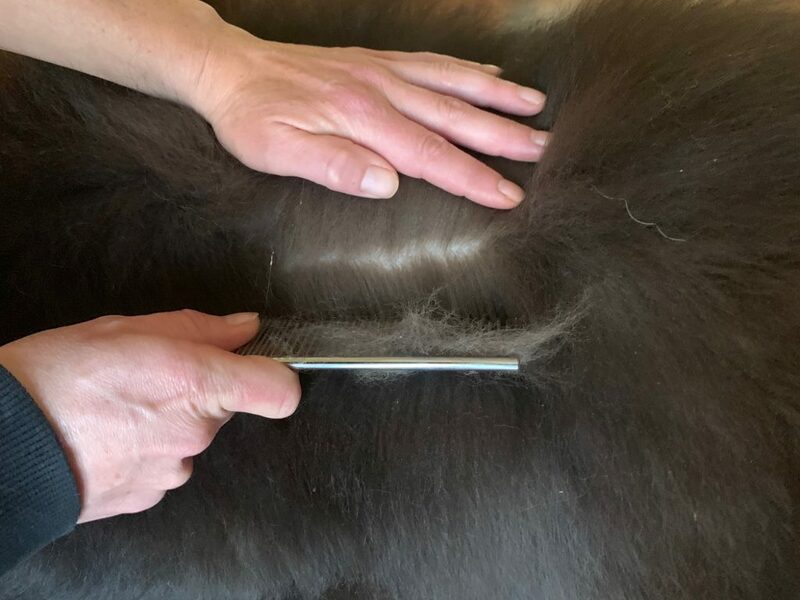 Line combing or line brushing is the most common way that dog groomers and owners of double coated dog maintain their dog’s coat. Line combing or line brushing is a grooming technique used on dogs with a double coat to remove loose undercoat. Line combing or line brushing is different than just running a dog brush on the top of your dog’s coat which does nothing for the undercoat. 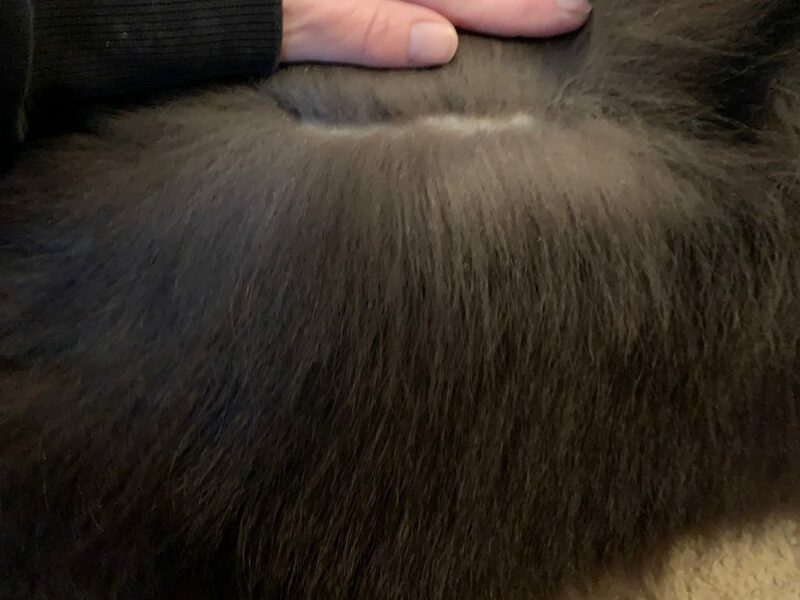 The benefits of line combing are huge and mandatory when you have a dog that has a double coat. 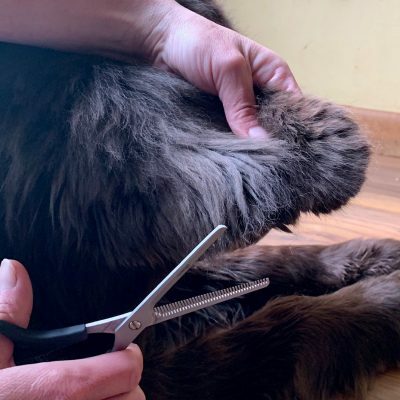 Removing the loose undercoat with a comb reduces mats that can pull at the skin and be painful for the dog. It allows the air to flow through the skin and it can reduce hot spots from forming. 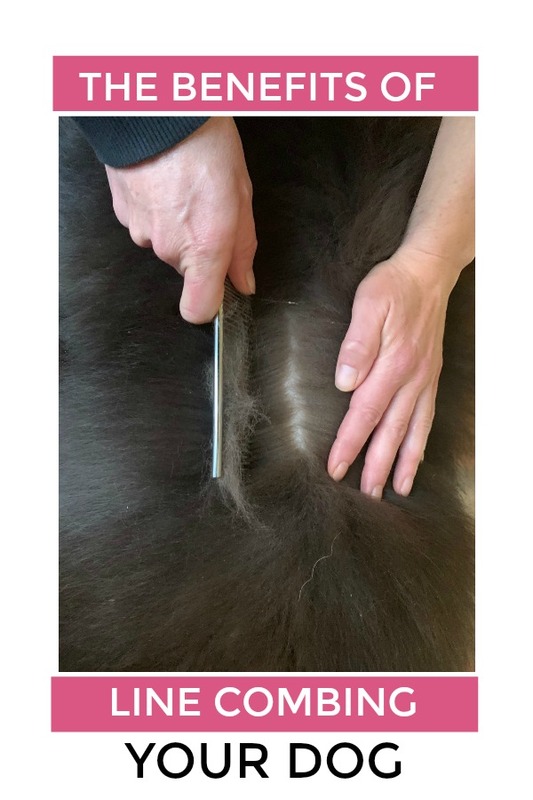 Line combing also gives you a chance to assess the skin of the dog and make sure that it is healthy. If your dog is standing, start at the bottom and work your way up. You should pick either start at the front or the back of the dog and not in the middle. Lift the hair up with your non-grooming hand and comb the hair in a downward motion making a line. 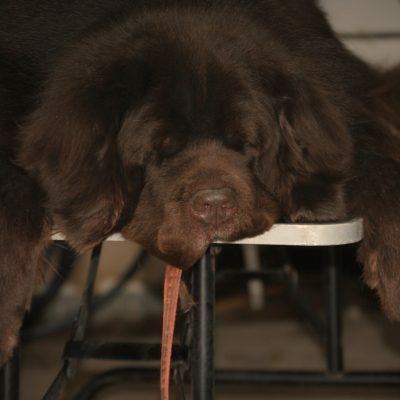 The size of the section is going to vary on the size of your dog and the size of your hand. I have small hands and a big dog so my sections are about 6 inches if I’m using a portion of my forearm. Your goal is to see a line from where the hair meets the skin. If you don’t see the skin at first, comb through until you do. In an ideal world, it would be great to line comb daily but many people can’t do that. 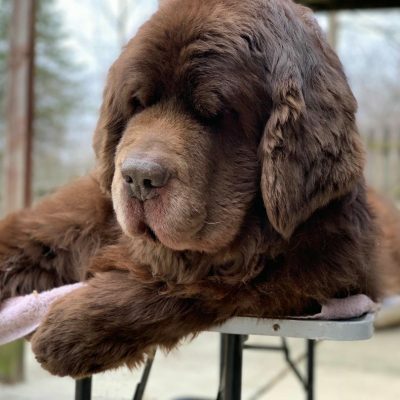 Line combing a double coat once a week should be good for most dogs but during the times when a dog is blowing coat it should be combed daily in order to cut down on mats and to remove the loose hair. Line combing should also be done after bathing and after swimming to help prevent hot spots. This will be largely based on personal preference and your dog’s coat. For a thicker coat, a comb normally works best. You can use a greyhound comb, a poodle comb, a wide tooth comb, a comb with a handle or a comb without a handle. You can also use a rake, a slicker brush, a Sullivan comb or a Scotch comb. I personally like to use a greyhound comb when line combing. I love my new scotch comb that I bought at Tractor Supply but it is heavy and can be wearing on the wrist when line combing. For hair that is knotted, hard to pass through or has a lot of static a grooming spray such as The Stuff, Ice on Ice, ProGro, Pangagenics or Cowboy Magic. ProGro is my all time favorite when diluted down into a spray bottle but the others work great too! After line combing make sure to clean your grooming tools in warm, soapy warm and allow to air dry. Whoa…that must be a long term project! Great explanation and how-to info. It can be depending on how much undercoat the dog has. Sherman takes a lot longer than Leroy these days.